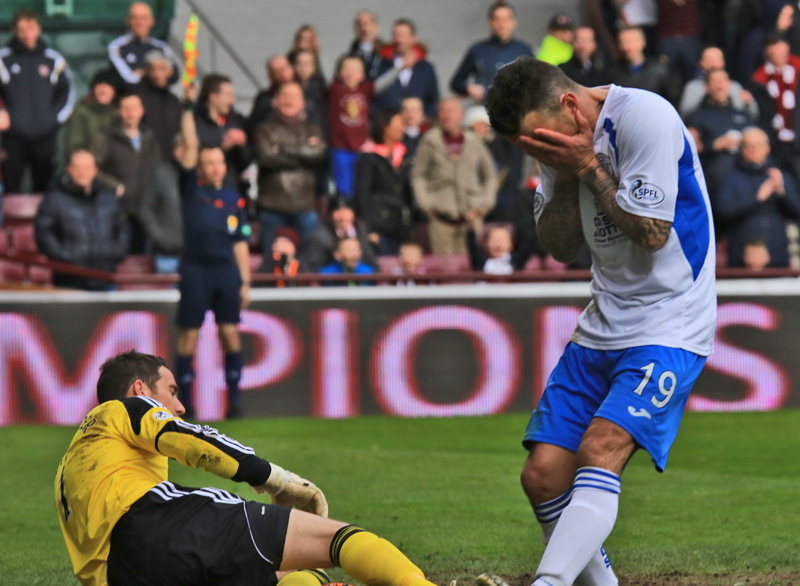 Hearts have strolled to the title this season - and Saturday was no different. Queens were swept aside 2-0 with goals from Osman Sow and Alim Ozturk putting the icing on the cake as the Jambos celebrated lifting the Championship title without hitting top gear. 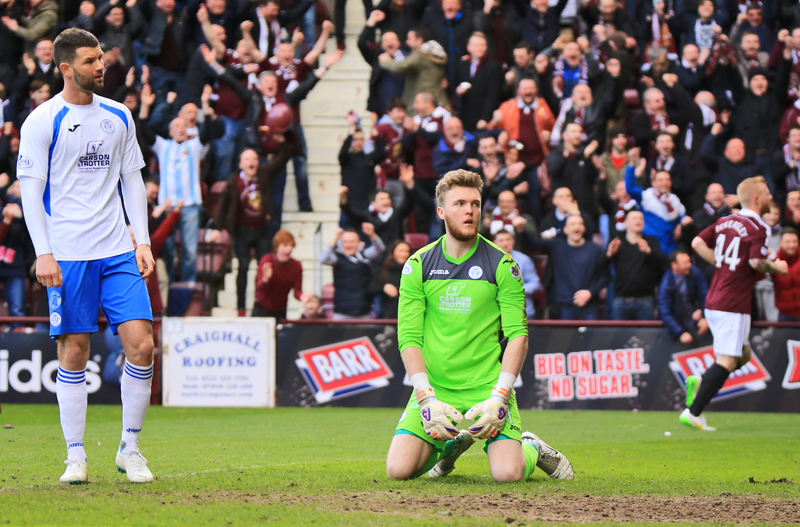 The Doonhamers had no success in the previous three ties against the Champions this season, shipping nine goals having only netted two past the Jambos - despite giving Hearts their `toughest test at Tynecastle` according to head coach Robbie Neilson. The Hearts gaffer also claimed in the matchday programme that he believed the 2-1 victory over Queens at the end of last month was the moment he believed his side would win the league. With the Championship wrapped up, Queens travelled to the capital in a bid to crash the title party. James Fowler made two change following Tuesday night`s disappointing defeat to Raith, with Ian McShane and Lewis Kidd making way for Gavin Reilly and Stephen McKenna. Tynecastle was rocking and the party was in full flow six minutes in when Sow notched his 12th goal of the season. The striker made light work of the Queens defence and waltzed in to the box before slotting the ball in to the bottom corner past Zander Clark. Sow almost doubled the Jambos` lead 10 minute later - this time smashing the side netting. Hearts were fully in control and - as `that`s why we`re Champions` rang out around the stadium - it was clear to see the quality in Robbie Neilson`s side. Ozturk almost guided Callum Paterson`s free-kick past Clark but thankfully for the `keeper the ball drifted wide of the mark. 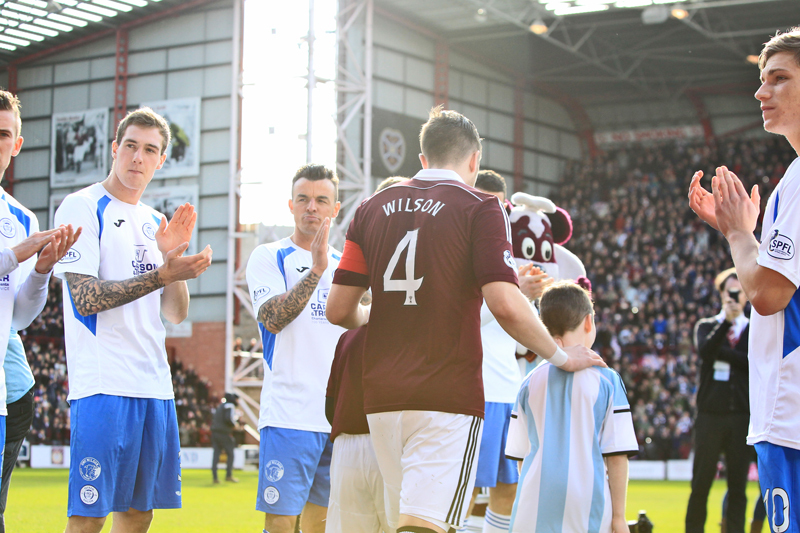 In the opening half hour it was all about Hearts as Queens struggled to get in to the match. Adam Eckersley then struck the post as his cross was carried by the wind and over the head of Clark. Queens troubled the Jam Tarts for the first time in the match after 40 minutes, when Ozturk almost headed in to his own net. Kevin Holt`s superb delivery wasn`t dealt with by the Hearts back four and the Turkish centre back gave Neil Alexander a scare as the ball whizzed by the woodwork. Sow was in the action again on the edge of half time as the Swede tried to make it 2-0 to Hearts. Jamie Walker squared the ball and Sow`s cheeky backheel looked destined to find the bottom corner but Clark pulled off a wonder save to keep the Doonhamers in the game. Craig Thomson blew the whistle for half time and, in truth, Queens got off lightly by only being one goal down. James Fowler`s side started the second period brightly before Derek Lyle had a contender for miss of the season. Mark Millar`s free kick forced Alexander to parry the ball right in to the path of Lyle who was three yards out with an empty net in front of him. Fortunately for the 34-year-old the flag was up for offside as he blasted well over. The game had started to open up more in the second half as the game became end to end stuff. But just as soon as Queens had found themselves in the match, they were two down. Mark Durnan barged down Jamie Walker 20 yards out for a free kick to the Jambos and Ozturk stepped up. 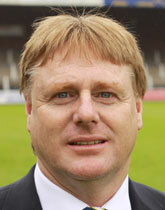 His shot deflected off Andy Dowie and sent the ball flying in the opposite direction and past Clark. It was hard on Queens as they had improved in the second period. 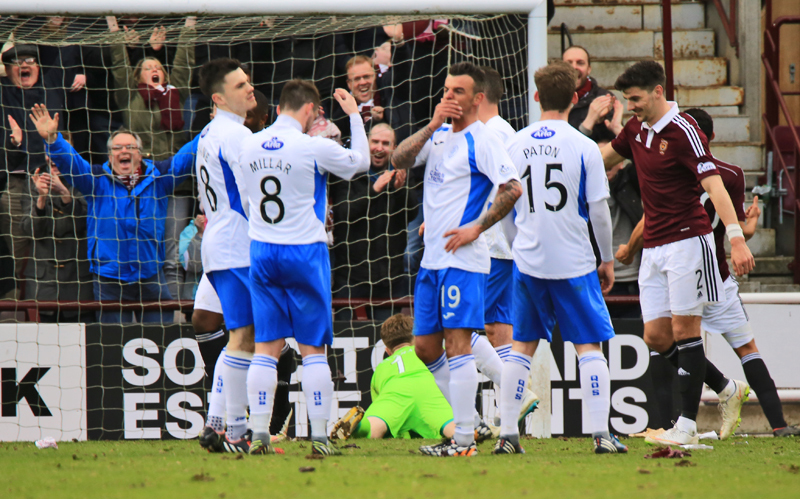 After the second goal, Hearts took the foot off the gas and the game began to go through the motions. Robbie Neilson`s men didn`t need to put in a top performance as they strolled to another three points in a superb season for the Gorgie side. Queens face another trip to the capital to play Hibs, who currently sit second in the Championship table. 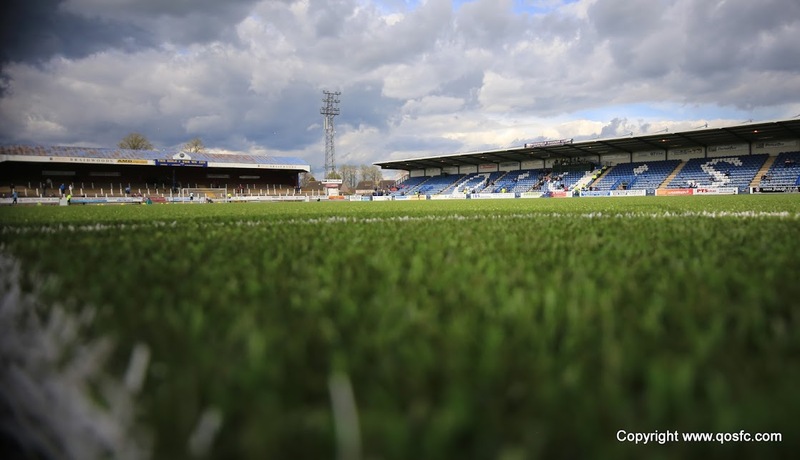 With the play-offs looming and Falkirk breathing down the neck of the Doonhamers, James Fowler and his team will be searching for three points. 15:25 Good afternoon from Tynecastle, team news to follow for today`s match against the Champions, Hearts. 15:29 Today`s Referee is Craig Thomson, who is assisted by Andrew McWilliam and Paul Reid. 16:01 Queens give Hearts a guard of honour as the Championship winners take to the field. 7 min Osman Sow drifts in to the box and slots past Clark to put Hearts 1-0 up after six minutes. 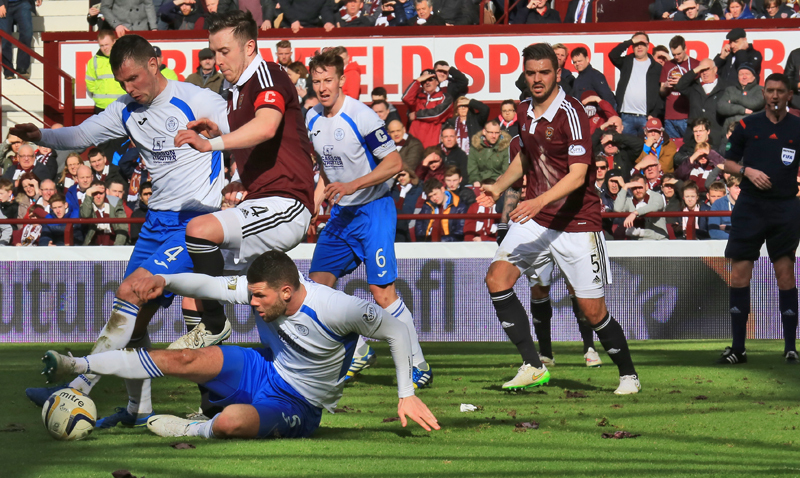 9 min Kevin Holt tries his luck from 20 yards out but his volley doesn`t trouble Hearts `keeper Neil Alexander. 36 min Adam Eckersley hits the crossbar as his cross is carried by the wind. 42 min Today`s attendance at Tynecastle today is 16,885. 45 min A fantastic save by Clark denies Sow his second as the striker tries a backheel from point blank. 49 min Derek Lyle misses a sitter from three yards out - luckily for the striker the flag is up for offside. 55 min Billy King fires over from the edge of the box for Hearts. 67 min It`s unlucky for Queens as Ozturk`s free-kick looks to have deflected off Andy Dowie and in to the back of the net. 17:51 Goals from Osman Sow and Alim Ozturk seal all three points for Hearts. Queens remain fourth in the table.